We would never recommend that you try to wear a live lobster as a hat. First of all, the lobster won’t like it very much. Those little crustaceans are ornery little critters and they won’t hesitate to use those big claws of theirs to pinch up your face pretty good. Second, lobsters have a hard exoskeleton, which also will not feel very appealing while it sits on your head. Lastly, it’s just a bit silly to even try when there’s this handy cushy hat that’s a much more comfortable option. 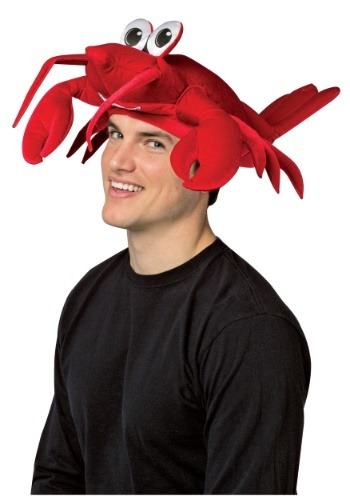 This lobster hat is a much better alternative to trying to put a live lobster on your head. The hat is made of a soft material (much softer than the exoskeleton of a real crustacean) and fits comfortably on your head without any pinching business. The hat even has a pair of fun, cartoon-like eyes to go along with his adorable little lobster face.